Have you been thinking about selling your commercial real estate? Are you interested in buying more real estate with your profits or exchanging for something else? 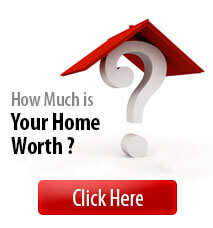 Look no further than Linton Hall Realtors’ educated and experienced commercial specialists. Selling your commercial property requires patience, time, flexibility, and superior marketing acumen. Fortunately, Linton Hall’s commercial real estate agents excel in all of these areas. All of our agents are well-versed in guiding both sellers and potential buyers through the commercial real estate process ranging from zoning to site plans within jurisdictions across Northern Virginia. Our agents can also provide assistance with a feasibility study of your property and assist you in determining how to market the property and get the maximum value as a result. Many commercial properties are not listed properly, so Linton Hall Commercial works hard to ensure that your property is correctly listed and the offering is properly merchandised and exposed to all buyers. If you’re in Northern Virginia area and have industrial, flex, retail, or office space that you’d like to sell, our agents are ready to help. We will sell your property at current market value. We do so by undergoing a deep-dive analysis of your property and the surrounding markets. We then strategically market your commercial property to interested buyers, giving you a rewarding return on your investment (ROI). Should I hire a commercial real estate agent to help me sell? If it were as easy as putting up a “for sale” sign, everyone should sell their own properties. However, the selling process is complex and requires the assistance of a commercial real estate specialist. Linton Hall Commercial is here to help guide and educate you through the entire selling process. From determining the correct asking price to creating a strong marketing strategy to negotiating the terms of the contract, you can trust us to navigate the complexities of commercial real estate sales. Having a Linton Hall commercial agent on your team will help make the process as smooth as possible. In the world of real estate, location matters. Some buyers want to be closer to their customers, some want to be closer to their shipping partners, and the rest want both. The location of your property is not something you can change, but it is something our brokers can include in your marketing to attract the right buyers. We work directly with our buyers to understand the needs of their business in determining the best location. How do you market commercial real estate? Our commercial division is a part of a vast network that allows us to share our client’s properties with other brokers, investors, and business professionals. We work directly with CoStar, Loopnet, and the MLS to market your property to commercial brokers and residential brokers who may have a commercial client, as well as folks who are not represented by a real estate agent. We utilize professional photography to market your property to the widest audience via different avenues, such as social media, print, and email. Our commercial real estate marketing strategies continue to be proven successful time and time again by the number of properties sold. Additionally, we provide international exposure to foreign investors. Are there tax implications when selling? Commercial property tax is an important consideration when selling your space. Our commercial division works with numerous 1031-Exchange experts and financial planners to help our clients find new commercial projects to invest into to defer any tax implications. Does the “class” of my commercial real estate matter? Office space is often broken down into three classes, most commonly known as A, B, and C. The newest, renovated, modern office space is grade A, and the older, more aged, least expensive office spaces are marked grade C. In most cases, it is cost prohibitive to invest the money required to renovate and move your property up an entire commercial class. To determine if there is a way to move your property up in class—or if you can invest in minor remodeling to achieve an asking price at the high end of your current class—contact our commercial division today. If you have found an ideal location, and plan on doing business there for a long time, buying is a smart option. Linton Hall knows you want a property that brings your business plan to life, with space that you can call home. Let us help you find that perfect location and guide you through the decision-making process. From commercial financing to zoning ordinances to feasibility studies, we’ll be there to guide you. Why Sell A Commercial Property? As a commercial property owner, your real estate is an asset that you can leverage into residual income (through leasing the property) or parlay into the purchase of more real estate. One of the most important things to Linton Hall Realtors is trust. You must have full confidence that commercial real estate agent has your best interests at heart and can negotiate the best deal on your behalf. Trust is why so many sellers choose Linton Hall Commercial. If you have a commercial property you want to buy or sell, we can help. 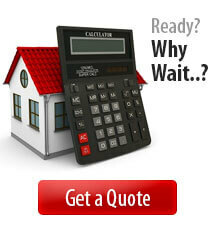 We are happy to guide you through either process and answer all your questions.